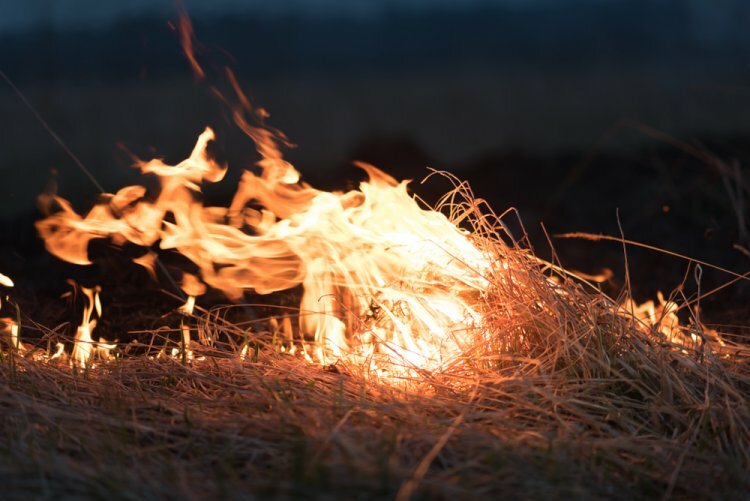 One of the most famous incidents in the Torah is that of the ‘Burning Bush’, where a Malach appears to Moshe Rabbeinu in the guise of a burning bush that is not being consumed by the fire engulfing it. HaShem then speaks to Moshe from the midst of the bush and thus begins their lengthy dialogue about Moshe going to redeem the Jewish people from slavery. Many years later, Moshe recalls this incident in his blessing to the tribe of Yosef. He states, “with the bounty of the land and its fullness, and by the favor of He who rested upon the bush. Rashi explains that this refers to the burning bush where HaShem first revealed himself to Moshe. The obvious question is why does Moshe allude to the burning bush in his blessing to Yosef, implying some kind of connection between the two? The Be’er B’Sadeh explains that the geulah came about in the merit of Yosef, therefore the seminal event in the beginning of the geulah, the incident of the burning bush, was in the merit of Yosef. He adds that the word ‘rested upon’ is translated as שוכני with a yud at the end which seems redundant, as the normal usage of the word would be ‘שוכן’. He suggests, based on the numerical value of yud being ten that this alludes to the merit of ten of the years that Yosef languished in the dungeon in Mitzrayim. It is possible to add another connection between the burning bush and the life of Yosef. The Yalkut Shimoni continues that the burning of the bush symbolized the great suffering that the Jewish people would suffer in the Four Exiles, yet the fact that the bush was not destroyed alluded to the miracle that the Jewish people would not be destroyed by all their suffering, through HaShem’s protection. It is possible to add that the bush’s survival also alludes to the spiritual survival of the Jewish people – that despite all the numerous threats of assimilation, we would remain loyal to the Torah and the Jewish people would never be consumed by all the other nations during our exile. This is also clearly miraculous, as every other nation that was exiled, assimilated into the surrounding nations. In the same way Yosef endured great physical suffering during his lengthy sojourn in Egypt and could easily have been physically destroyed had HaShem not protected him. Moreover, he also was subject to tremendous temptations to assimilate into the Egyptian people, and yet he stayed totally loyal to the Torah. Moreover, he even successfully brought up his sons to withstand the spiritual threats of exile. Indeed, one of the explanations given for the fact that we bless our sons to be like Ephraim and Menashe, as opposed to the Avos, is that they were the first Jewish children to grow up in a totally alien spiritual environment and yet the remained steadfast in their observance. In this vein, Rav Yitzchak Hutner zt”l notes that Yosef is considered more than just a regular tribe, and is also a quasi-Av. He completed the role of the third Av, Yaakov. Rav Hutner explains, Yaakov was the first of whom all his children remained part of the new Jewish nation. In doing this, he created the concept that someone born of a Jewish woman will always be a Jew, regardless of his actions. However, Rav Hutner points out, that Yaakov’s role of ensuring Jewish continuity is still incomplete, due to the halacha that the child of a non-Jewish woman is a non-Jew, even if the father is Jewish. Because of this halacha, the permanence of Klal Yisrael is still not ensured. It is in this area that Yosef plays a defining role. He, unlike his brothers, was alone in an alien atmosphere and subjected to great temptations, particularly the nisayon (test) involving Potiphar’s wife. Through his ability to withstand such challenges, and to maintain his identity as a ‘Jew’, he infused into all future generations the ability to withstand the future challenges of the exiles in which Jews will be under great pressure to assimilate with the other nations. In this way, Yosef’s contribution acts as a completion of Yaakov’s role in ensuring Jewish continuity. Yaakov created the concept that a person born from a Jewish woman is always a Jew, but Yosef ensured that he have the fortitude to refrain from intermarriage. In this way, Yosef provided a merit to the Jewish people in Mitzrayim to maintain their separation, as it is well-known that there was not one deliberate case of inter-marriage by the Jews in all their time there. We have seen how the merit of Yosef was the direct cause of the geulas Mitzrayim. May this merit continue to protect us and inspire us to emulate his conduct. Devarim, 33:16. He is one of the super-commentaries on Rashi. It is true that Yosef was in the dungeon for 12 years, but it seems that the additional two do not count as a merit for Yosef because they were added onto the 10 years because of his over-reliance on the sar hamashkim to help him get released. See the essay, ‘Yosef’s Strength’ on Parshas Mikeitz for a lengthy discussion of this point.